Many of us have heard of the fairly new workout brand CrossFit that has been sweeping the world for the past decade or so (2000). Some of you may even participate in the ultra intensified fitness regiments at your local CrossFit gym, or “boxes” as the growing cult has come to call them. For those of you who are unfamiliar with CrossFit, it is an exercise program that advocates a mix of aerobic exercise, body weight exercise, gymnastics, and Olympic weight lifting that requires an individual to “to keep up the intensity, each and every time.” What does CrossFit have to do with total quality management within a corporate conglomerate you ask? Well it just so happens that Adidas recently purchased Reebok back in 2006 and the company has been struggling mightily ever since the latter lost its decade long contract to outfit the National Football League last April to its biggest rival, Nike. This loss will reportedly cost Adidas an estimate of upwards to $250 million in lost revenue annually, a crushing blow to a company that was already being scrutinized for its purchasing of the floundering organization that had become Reebok. Reebok has also suffered heavy losses from lawsuits regarding their falsified health claims of their new “toning” shoes that deceived consumers. These allegations were brought forth by the Federal Trade Commission and required Reebok to pay nearly $25 million in total refunds. To top it all off, there has been turmoil within the infrastructure of the organization as an investigation has been prompted relating to alleged fraud by two former executives. However, there may be a silver lining yet for this once promising business transaction as Adidas hopes that sponsoring CrossFit using their newly affiliated business partner Reebok as its representative will not only reverse the current trend of posting a decline in sales the last three of five years, but also restore the brands image as a major powerhouse in the industry that is a force to be reckoned with. Adidas continues to stand by there decision to purchase Reebok and hopes that their new two year deal with CrossFit will help them accomplish their goals that they set for themselves prior to their recent setbacks. In hopes of reaching the $3 billion objective for 2015, Adidas believes that their sponsorship of CrossFit will help speed up the process and provide them with some insurance they desperately need. The rapid growth of the CrossFit health craze is most certainly a positive sign for pulling Reebok out of the gutter as more than 3,000 gyms have popped up worldwide. The cult-like fitness routine seems it will continue to grow in popularity in the future as people gravitate towards the infectious atmosphere of the contagious motivation/energy and the promise of a complete workout in under 20 minutes. Will Adidas end up regretting their decision to purchase Reebok in the future? 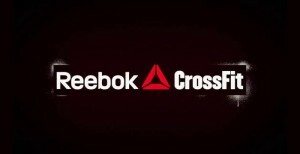 Or will the new addition of Reebok and the sponsorship of CrossFit pay off in the long run? This was a really good read. 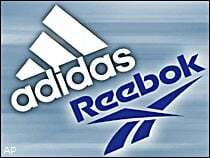 I had no idea Adidas bought Reebok in 2006. I knew that Adidas has been struggling mightily as Nike has taken over literally everything. I don’t see that many people wearing Adidas shoes on the basketball court anymore. I usually see everyone wearing Nike shoes because they have Lebron James, Kobe Bryant, and Kevin Durant under contracts with them. It hurt Adidas really bad to lose the NFL because they lost over 250 million dollars in revenue. I think Adidas will regret purchasing Reebok in the future. Adidas should have been more concerned about getting contracts with the National Football League or signing big name players in the National Basketball Association. That’s where all the money is and you will get a lot consumers with those contracts. I just don’t see Adidas reaching their 3 billion objective for 2015. I think CrossFit was a great idea, but I really don’t see it offsetting the lost of the NFL deal.